The morning of our first day in Sao Paulo was spent recovering from the 15 hour flight (via Madrid) from the UK to Brazil. We made our way to Rosana’s mum’s house, in a south eastern suburb of Jardim Santa Emilia. A middle class neighbourhood made up mainly of houses (as apposed to apartment blocks or favelas). 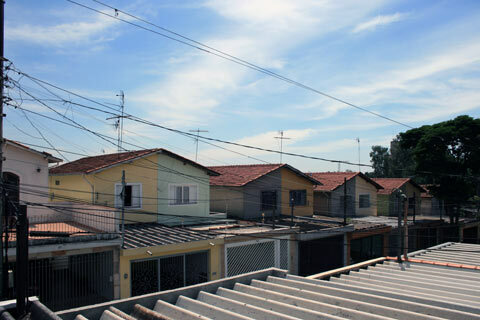 After meeting Rosana’s mum for the first time and having a chat and time to settle in, we made our way into the city (it is massive – 20 million people in the greater Sao Paulo area). 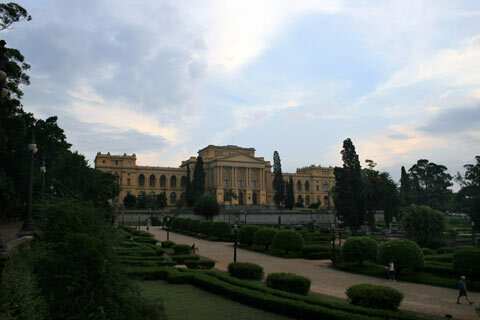 We had a look around the grounds of Museo do Ipiranga, a nice old colonial-style building with tropical gardens and statues. 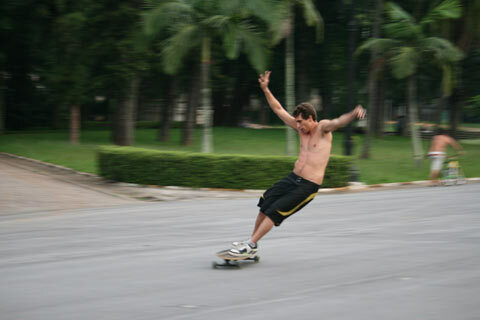 Afterwards we crossed the road and walked down a wide pedestrianised boulevard where there was a bunch of guys skateboarding (longboard style). They were cruising down the hill pretty fast, pulling various tricks and stunts (see picture below) not unlike walking the nose in surfing. In the evening we went to a local Churrascaria (a meat restaurant where you pay a set price and they keep feeding you until you can’t eat anymore). We had a feast for 3 people with various meats including Picanha (my favourite). All in all a pretty eventful first day!